Mirc Download logo The mIRC program is one of the best IRC clients, with you can connect to IRC (Internet Relay Chat), a virtual place where you can communicate and meet in virtual form with thousands of people around the world, having a Great variety of themed channels (hobbies, countries, professions, etc. ), where you will find people who share your same interests and hobbies. MIRC has a convenient interface that is highly configurable, with the ability to support features such as friend lists, file transfers, multiple server connections, IPv6, SSL encryption, proxy support, UTF-8, UPnP, custom sounds, Spoken messages, tray notifications, message logging, and more. MIRC also has a powerful scripting language that can be used both to automate mIRC and create applications that perform a wide range of communications functions for gaming networks. MIRC is one of the oldest clients for IRC, has been in development for more than two decades and continues to improve and update with new technologies. Unfortunately only the Spanish version of mirc 6.32 is available, due to the fact that the official support in Spanish MIRCes has left its development. If you still want to install this old one follow the steps below or you can download the latest version 7.32 in English language. 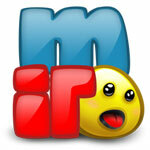 1.- Download the mIRC program in English and install it on your PC. 2.- Download this official patch (mirc.exe) and copy it to the folder where the mIRC program was installed, which is in "C: \ Program Files \ mIRC \" by default, overwriting the original file "mirc. Exe ". 3.- Well just run the mIRC program and it should already be in Spanish language. Language: English and Spanish, Windows 8, Windows 10. System: Windows 200, Windows XP, Windows Vista, Windows 7, Windows 8, Windows 10.